Sapporo Mt. Moiwa Ropeway + Choose 2 locations from the 6 locations available in Course B. 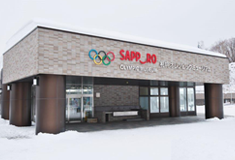 For example, Sapporo Mt. 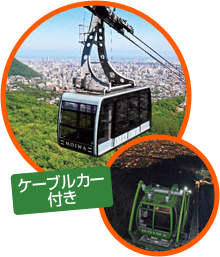 Moiwa Ropeway + Historical Village of Hokkaido +Sapporo TV Tower Observation Deck. Discounted from ¥3,220 to ¥2,300. Save ¥920! Visitors can enjoy a spectacular view of the Sapporo cityscape as well as the magnificent Ishikari plains and bay beyond. Enjoy a spectacular view of downtown Sapporo and Odori park from the observation deck located 90 meters above the ground. Popular “TV Tosan” character goods are also on sale here. Ride a double lift to the top of this world-class ski jump for a view from the viewing lounge located 307 meters above sea level. 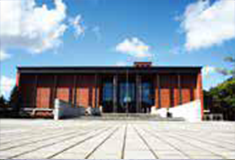 This museum features exhibits following 5 themes covering the nature, history, and culture of Hokkaido, offering visitors a truly comprehensive experience. 30 minutes by car from downtown Sapporo. 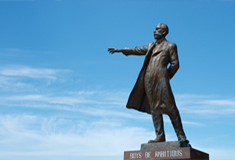 Enjoy a beautiful pastoral landscape spreading below the famous statue of Dr. William S. Clark. 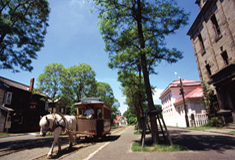 Visitors can see various buildings from the Meiji and Taisho periods in this open-air museum, and ride a horse-drawn trolley (or sled in winter). 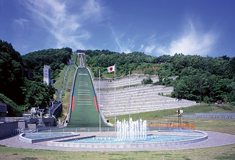 Visitors can experience various winter sports at this amusement facility. Copyright© Sapporo Select All Rights Reserved.